If you're planning to buy visitors insurance, you may have come across these two travel medical insurance policies: Patriot America and Liaison Travel Choice. They look similar at a first glance, so it may be difficult to determine the difference between Patriot American insurance and Liaison Travel Choice insurance. 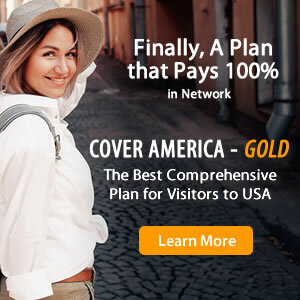 Patriot America and Liaison Travel Choice both provide travel medical coverage for USA and international travel, so either visitors insurance policy is good for a trip to the US and other foreign countries. Both comprehensive plans, they provide percentage based coverage for most eligible benefits. To find out the best travel insurance plan for you, see the differences between Patriot America and Liaison Travel Choice insurance detailed in the comparison chart below.